Teaching the weather in a fun way. A brightly coloured fan showing each day of the week on a separate petal. 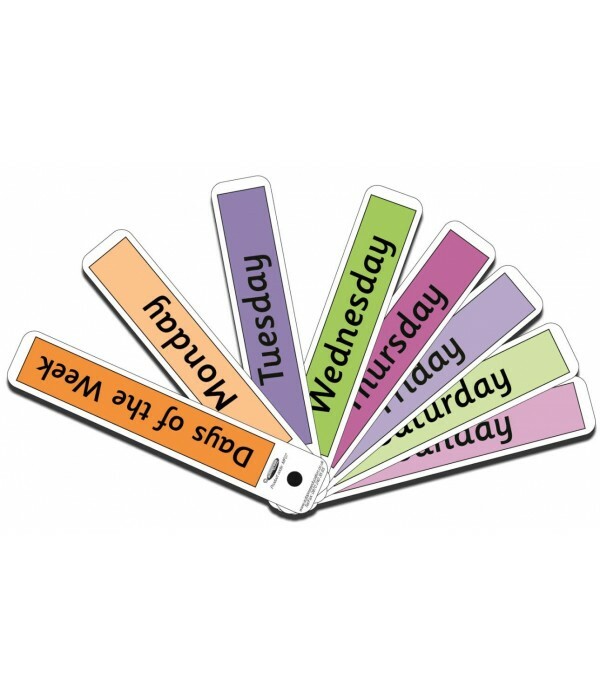 A useful tool for ordering, spelling and answering questions related to the days of the week. 16.5 x 3 cm..
Tracking the days becomes a family affair! Helps you include kids in making plans and scheduling activities. 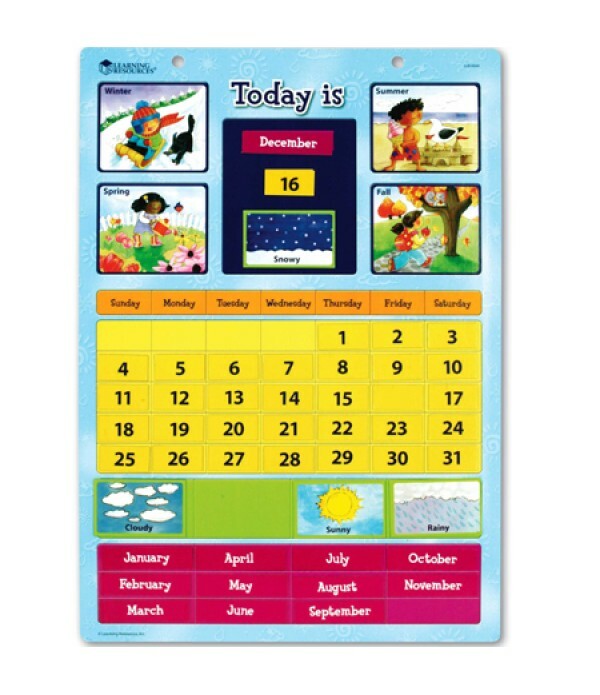 Invites kids to move the colorful, illustrated magnets to track the date, day of the week, month, season and weather. Features write & wipe surface and holes for hanging on a.. 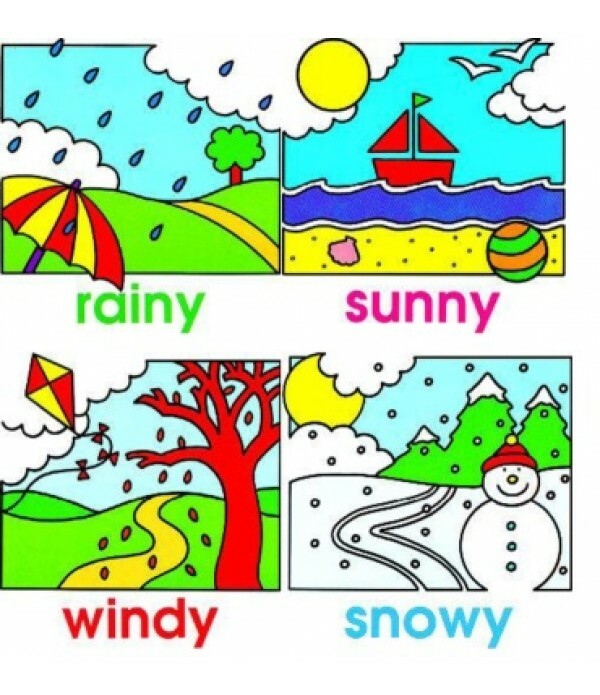 Weather Jigsaw Puzzle Set of 4 (Rainy 6 Pcs Puzzle) 20x20 cm (Sunny 9 Pcs Puzzle) 20x20 cm (Windy 12 Pcs Puzzle)20x20 cm (Snowy 16Pcs Puzzle) 20x20cm..